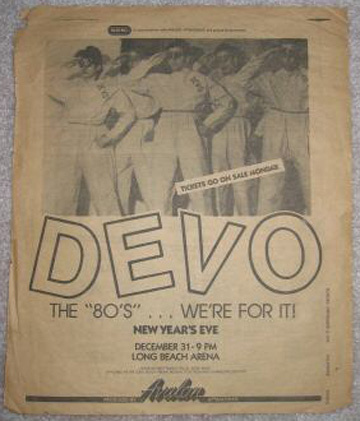 Vintage newspaper advert for DEVO's 12/31/79 show at The Long Beach Arena in Long Beach, CA. This was the last show that DOVE, the band of Love, would perform at. DEVO opened for themselves as DOVE only three times, this show being the 3rd.